WARNING: This review contains spoilers. If you haven’t watched the film or read the book, go and see the film/read the book before reading this review. The Hunger Games: Mockingjay – Part 2 is the final chapter in The Hunger Games franchise where we see our heroine Katniss Everdeen (Jennifer Lawrence) continuing her rebellion as the “Mockingjay” against the Capitol and its tyrannical leader, President Snow (Donald Sutherland) with the help of Peeta Mellark (Josh Hutcherson), Gale Hawthorne (Liam Hemsworth), President Alma Coin (Julianne Moore) as well as other characters. Can she put an end to Snow’s rule and free the people of Panem? The first thing to address would be the positive aspects of this movie. The performances, as ever, are great. Jennifer Lawrence shines once again as Katniss and succeeds in making you believe in her character. More great performances come from the supporting cast such as Josh Hutcherson as Peeta, Julianne Moore as Alma Coin (who it turns out isn’t as nice as she appears) and Donald Sutherland as President Snow. The way I see it is you need a great cast in order to get great performances in these “young adult” franchises, and it is safe to say that this cast looks great and it succeeds. In addition, there was some good character development, especially with the character of Peeta. Let’s not forget that he is trying to get some of his memories back after he was brainwashed by the Capitol in Mockingjay – Part 1. As he gradually recollects his memories, we learn even more about his character than we knew before. You also need good character development in YA franchises for them to succeed and once again, this receives a pass. 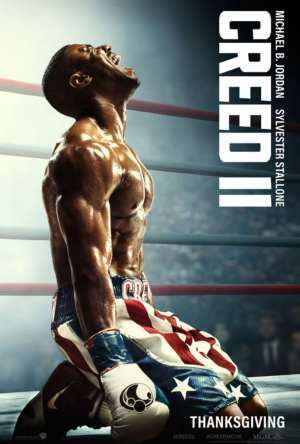 Furthermore, there are some great action sequences in this movie which were entertaining to watch and had me excited. Highlights include when the characters are running away from a flood of black tar, which has been set up as a trap by the Capitol, as well as a fight with some zombie-like creatures which takes place underground. Nevertheless, this movie is not without its flaws. Let’s start with the pacing of the movie. It got painfully slow and boring throughout and I mean, PAINFULLY slow and boring to the point where I was thinking “God, let’s get into the action already!” The fact that this was split into two parts makes matters worse. It meant that the movie had to tread extremely slowly in order to fill the time by including some slow scenes which were downright unnecessary. Moreover, it’s bad enough that the film is incredibly slow throughout but I felt like the most important part of the film, the deaths of President Snow and President Coin, felt very rushed and was over very quickly. The film ends up building up very slowly to a great climax but then it ultimately rushes at the pivotal moment. Finally, there were some scenes that I felt should have been explained and handled better such as the death of Katniss’ sister, Primrose Everdeen (Willow Shields). The death looked like a hallucination when it happened and looked very unrealistic. It left me thinking: “Is Prim dead? Is she alive? Was Katniss hallucinating?” We don’t find out until a little bit later on that she is, in fact, dead but during the period in between, it felt like the film ignored what had just happened for a bit, which left me feeling very confused and unclear about what happened. The actual ending itself, where Katniss and Peeta are now parents and are playing with their child and baby in the fields of a liberated Panem was really sweet and was a good send-off. I noticed how the landscape of Panem and its fields was brighter overall than before and the costumes worn by the characters were full of bright colours. I really liked this because it truly represents how Panem has gone from being a bleak and dark place with no hope to a place that is free and full of light and hope. To summarise, at times the film is exciting with its action sequences, the performances and the character development are great, the twist with President Coin being bad was clever and I liked the ending. However, the film had some bad pacing where it was slow throughout and rushed at the key moment. We must now address the question: “Is it a satisfying end to the franchise?” I’m going to go out on a limb and say yes. Doctor Aurelius: Okay, take your time. Still got a lot of swelling in your vocal chords. Katniss Everdeen: My name is Katniss Everdeen. Katniss Everdeen: I want, I want to talk to him. Plutarch Heavensbee: He needs time. But, um, we’re trying something new today. He’s been calmer with the doctors, but they’re strangers to him, so we’re going to test his responses to someone he remembers from home. Someone you trust. Plutarch Heavensbee: Send her in. Primrose Everdeen: How’re you doing? Haymitch Abernathy: She’s too close. Primrose Everdeen: We’re in District 13 now. It’s a real place, the stories are true. Peeta Mellark: My family hasn’t come to see me. There was an attack on 12. My family. Primrose Everdeen: They didn’t survive. Peeta Mellark: Because of Katniss. It’s because of Katniss. Peeta Mellark: She tell you to say that? Primrose Everdeen: She didn’t tell me anything. Peeta Mellark: She’s a liar, Prim. It’s the truth. Primrose Everdeen: Peeta, what you’re saying isn’t real. Peeta Mellark: She sent you here to talk to me. She knows you’re here now. Peeta Mellark: She knows. You can’t trust her! She’s a monster! She’s a mutt! The Capitol bring her to destroy us! Haymitch Abernathy: Get her out of there. Peeta Mellark: Do you understand me! You have to kill her, Prim! You have to kill her! Peeta Mellark: She’s a mutt! Plutarch Heavensbee: This is just the conditioned response. Plutarch Heavensbee: It’s not him. Peeta Mellark: She’s a monster! She’s a mutt! Katniss Everdeen: No, it’s not him. Katniss Everdeen: Nothing good is safe while Snow is alive. I can’t make another speech about it. Snow has to pay for what he’s done. Boggs: One way or another this war is going to come to an end. There’s only one thing you could do now to have more fire to this rebellion. Katniss Everdeen: We all have one enemy, and that’s President Snow. He corrupts everyone and everything. He turns the best of us against each other. Stop killing for him! Tonight turn your weapons to the Capitol, turn your weapons to Snow! Katniss Everdeen: Finnick, are you with us? Finnick Odair: Looks like it. Katniss Everdeen: That’s a short honeymoon. Finnick Odair: Yep, well I guess we’re going to have to have one in the Capitol. After we take it. Boggs: Gather round. Squad 451, you’re my unit. Lt. Jackson is my second in command. Each one of you is elite in some form of combat, but we are not a combat unit. So we’ll be following days behind our frontline troops. Cressida: You’re to be the onscreen faces of the invasion, the Star Squad. It’s been decided that you’re most effective when seen by the masses. Gale Hawthorne: So we’re not going to fight? Boggs: You’ll do whatever you’re ordered to do, soldier. It’s not your job to ask questions. Boggs: Even though we’ll be working on abandoned streets, miles behind the frontline, I guarantee you wherever they put us it will not be safe. This is a war zone. It is likely that we’ll encounter both active pods and peacekeepers. You’re considered high value targets at the Capitol. Boggs: Our unit has been given a Hollow, a database that contains the detailed map of the Capitol and a list of every known pod. These pods can trigger anything from bombs to traps to mutts. Whatever they contain they’re there to kill you. Finnick Odair: Ladies and gentlemen, welcome to the seventy-sixth Hunger Games. President Snow: I’ve been watching you. And you’re watching me. President Snow: Oh, my dear, Miss Everdeen. Make no mistake; the game is coming to its end. Commander Paylor: For the first time in our lifetime we’re standing together with thirteen districts. Our future starts tomorrow and on, when we march together into the Capitol. To slow our advance President Snow is building a minefield with traps. The sadistic inventions of gamemakers meant to make sport of our deaths. Katniss Everdeen: We got one shot. Gale Hawthorne: Let’s make it count. Peeta Mellark: Our lives were never ours. They belong to Snow, and our deaths do too. But if you kill him, Katniss, if you end all of this. All those deaths, they mean something. Peeta Mellark: Your favorite color is green. Real or not real? Katniss Everdeen: Real. Your favorite color is orange; Not a bright orange, but a soft orange, like the sunset. Peeta Mellark: Are you still trying to protect me? Real or not real? Katniss Everdeen: Real. Because that’s what you and I do, keep each other alive. Haymitch Abernathy: Of course, we’re fickle stupid beings, with poor memories and a great gift for self-destruction. Although, who knows? Maybe this time, we’ll learn. Katniss Everdeen: [to her baby] Did you have a nightmare? I have nightmares too. Someday I’ll explain it to you, why they came, why they won’t ever go away. But I’ll tell you how I survive it. I make a list in my head of all the good things I’ve seen someone do. Every little thing I could remember. It’s like a game I do it over and over. Gets a little tedious after all these years, but there are much worse games to play. The last film in The Hunger Games franchise is disappointing to say the least. It suffers from pacing issues, the acting performances are bland and the overall story is quite cliché. The film takes its sweet time to take off and when it finally does I honestly believed it would be redeeming itself during the second act. Sadly the pacing dropped to near zero again in a matter of minutes. After it picked up in act three again it just started to feel weird. I had a hard time connecting with any of the story largely due to this. Just when I got into the overall story the tempo dropped so rapidly it got me out of it again. Most of the characters feel bland an uninteresting. The ones that seem interesting are not explored and stay in the background. They also seemed to be juggling with a lot of side characters all designed for specific purposes. This works well in books but in films it is hard to expose enough of a character in a very short amount of time to make them connect with the audience. The story itself might seem inventive and quite original at first glance but when one scratches the surface a standard cliché filled hole shows itself. Everything that happens is predictable from the get go and choices that the makers thought to be original turned out to be highly predictable. The footage itself was very nice though I did have some issues with the lighting. Most of the movie seemed pretty bland and if the story had gone full dark this might have worked. But due to the many cliché’s and predictable plot twists the grayish look just became an annoyance. The best part of the film was the genuinely creepy underground “zombie” chase and its prelude. If the whole film had held this power and execution style it could have easily been a superior ending to the franchise. 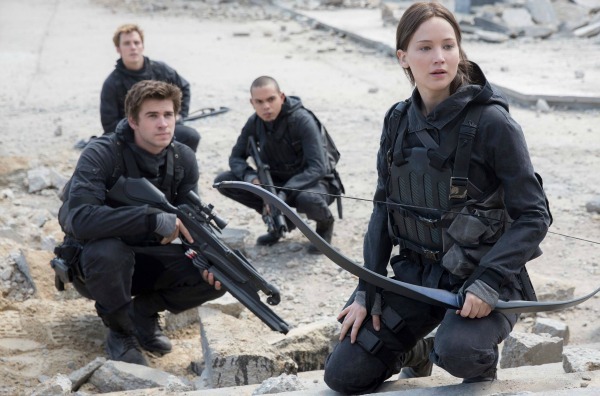 Overall Mockingjay – Part 2 is a cliché filled “dark” ending to The Hunger Games franchise. It aspires to be Harry Potter and the Deathly Hallows but failed even harder at this then the actual Deathly Hollows. I don’t recommend Mockingjay – Part 2 unless you are a massive fan.